Twenty six days after its first screening in SM City Calamba, ASP Laguna Chapter conducted another sensory-friendly screening for Persons with autism and other disabilities in SM City San Pablo to serve those from southern and eastern Laguna and western Quezon last August 23. Zambezia, an animated movie about two falcons en route to a community of birds, was shown. The participating schools and intervention centers include Arcangel Intervention and Tutorial Center, Child and Teens Success Intervention Center, Kids Cove Inc., George Intervention Center,St. Anne Carmelli Academy, Paaralang Pag-ibig at Pag-asa and Liliw Intervention Center. Two hundred and twenty seven persons with disabilities, friends and relatives attended the screening. 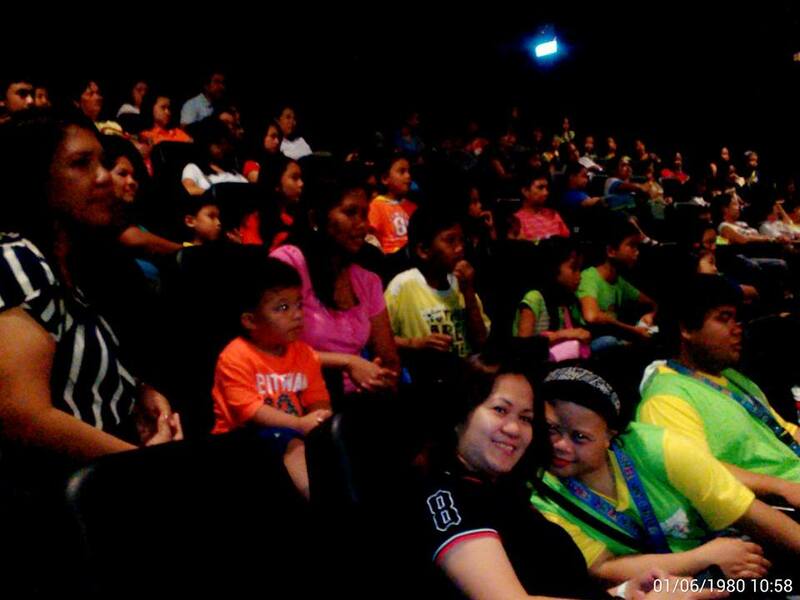 Many parents and teachers thanked ASP Laguna for organizing the event that allows their family members and student to watch a movie together, a rare experience. A parent said that her kids had fun and were attentive during their first-ever movie experience. Another parent noticed that her 4 year-old son was well-behaved throughout the entire movie. ASP Laguna thanks those who participated and/or volunteered: the participating schools and intervention centers, persons with disabilities, their families and friends, San Pablo Colleges BEEd-Special Education and BEEd-Early Childhood Education students. We are also thankful for the SM Cinema personnel, security personnel and others who made this event a reality. About the Contributor. Ms. Catherine L. Lopez is a mother of a young adult with autism studying at UP Los Baňos. She is the Job Coach for the office and messenger services of Autism Resource Center. She also serves as the President of ASP Laguna Chapter.